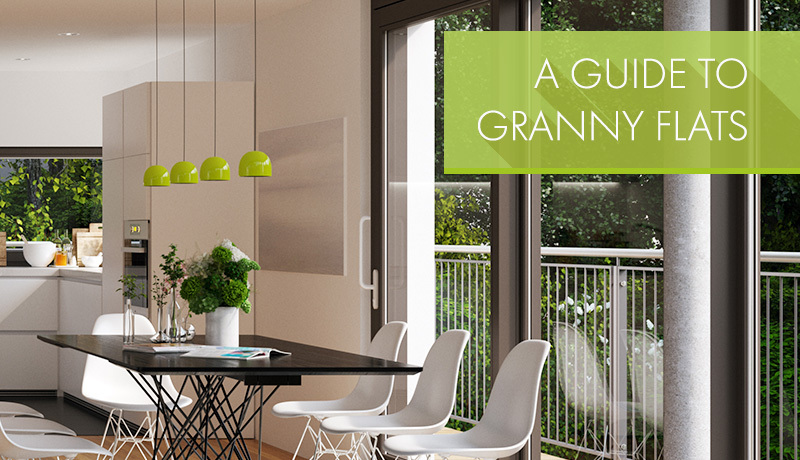 Thinking of building a granny flat? When a house is starting to feel a little cramped, the backyard is the logical place to seek some extra space. But while "building out the back” is popular across the country, it requires research and planning. Homeowners often ask for advice about building a granny flat, studio, teenage retreat or other structure "out the back” of a property. Checking what is and isn’t allowed is the vital first step. Check the rules and regulations regarding granny flats, which are also sometimes referred to as secondary or ancillary dwellings, for the local area. Call the local council or state building or planning department to check what the rules are. Advice could also be sought from an architect, draftsmen or building certifier/surveyor who works in the area, or one that may offer specialised consultation services or specialise in granny flat designs and approvals. the amount of land available influences what can be built on it. The main criteria around whether someone can or can’t build a granny flat on their land comes down to the size of land. There may also be conditions on whether the granny flat can be rented out or only occupied by family members. Homeowners should find out if the land is affected by constraints such as easements, setbacks from the main dwelling or neighbouring properties or planning overlays. Access and car parking also needs to be taken into consideration. It’s good to do your research up front. Regulations prescribe a minimum land size and maximum size of a granny flat. Where the requirements allow a granny flat, you may be exempt from getting some permits that would apply to building a house, but you will still need to have plans drawn up and obtain a permit for the work, which could be issued by the local council or a private building certifier/surveyor. This does vary, so again you are best to check. Next, call in the professionals. In terms of building the granny flat, this will need to be done by a registered and licensed builder and the design and construction will need to comply with the building code and relevant standards. Choosing a builder that belongs to an industry association ensures you are choosing someone who belongs to a professional association, which has members’ codes of ethics, provides education and training for members and promotes the notion of members being leaders in their industry. Homeowners should ensure they get quotes from various builders and check referees. As part of a builder signing on to do the work, there will need to be a contract in place, which is signed by both the owner and the builder. The contract is not only a legal requirement, it is important as it clearly spells out the agreed cost of the project, progress payments and so on, which is essential to the process, as both parties are clear from the outset what is included and what is not included in the contract works. A specification list, which itemises all the fittings, fixtures and any extras to be incorporated in the building, is also useful.